Elizabeth Gurley Flynn (1890-1964) was a union organizer, feminist, founding member of the American Civil Liberties Union, and leading figure in the Industrial Workers of the World. She later joined the Communist Party of the United States and became its chairwoman in 1961. 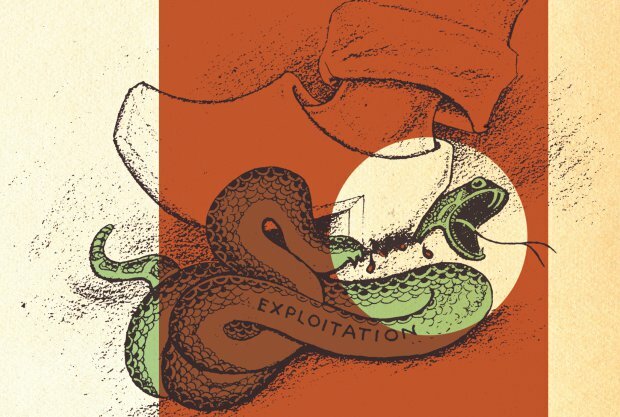 In "Sabotage: The Conscious Withdrawal of the Workers' Industrial Efficiency," Flynn lays out both a defense of sabotage and several of its forms. She contends that the workers have a right to alter the quality of their work or their products in order to win concessions from the employing class, protect their fellow workers, and influence industrial conditions. She further contends that sabotage is not only morally defensible as a weapon of the working class, but that it is often a moral duty of the workers to improve their social conditions.